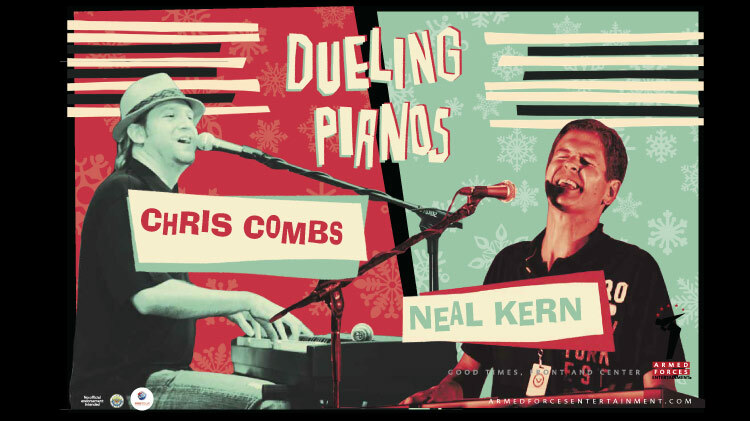 Date: Dec 15 2018, 7:30 p.m.
Armed Forces Entertainment is proud to offer the Dueling Pianos- Holiday Tour at Kazabra Club. Doors open at 6 p.m. for an upbeat piano bar show full of humor, fun and a wide range of holiday music. Open to ID cardholders and their guests, ages 18 and over.